A pale torpedo with a fine cap. 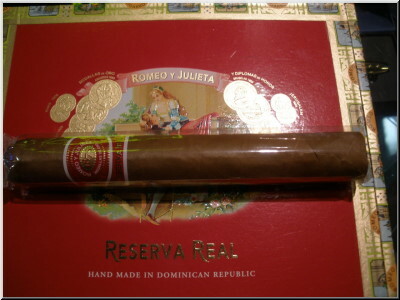 The R&J Reserva Real #2 rated a 90. It draws and burns well. It's sweet and woody, with a hint of graham cracker, along with leather and nuts on the finish. Medium bodied. 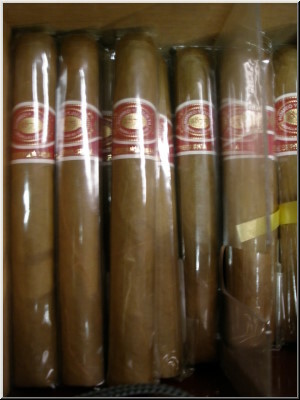 This coffee-colored R&J Real Churchill rated a 90. It has an even draw and burn, with a dominant woody flavor and hints of nuts and leather. The finish is wheaty and mellow. 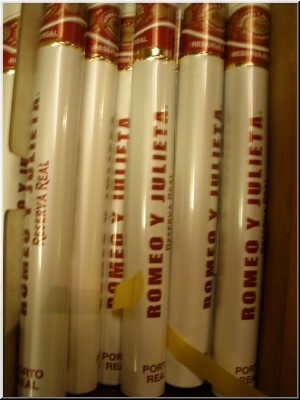 This Romeo y Julieta Reserva Real Cigar was rated 89. Pale and well made, this corona has a firm draw. Earthy flavors include hints of paper and wood. Medium bodied. Rated 89. 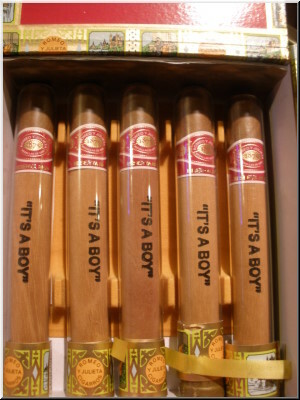 The Corona in a glass tube with the Announcement for the new Boy in the family. Rated 89. 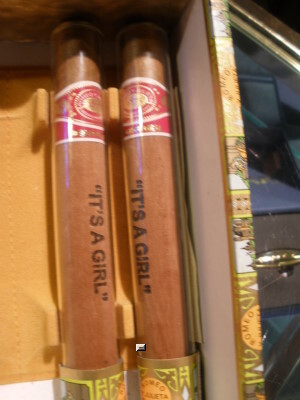 The Corona in a glass tube with the Announcement for the new little Girl in the family. Rated 91 points. Deceptively complex for a cigar with such a tan wrapper, this medium bodied cigar imparts a rich, nutty smoke overlaid with spicy cinnamon, crushed walnuts and a creamy caf� au lait finish. Rated 87. This panetela is tan and silky. It has a tight draw and an even burn. It warms to show woody notes and a wheaty finish. 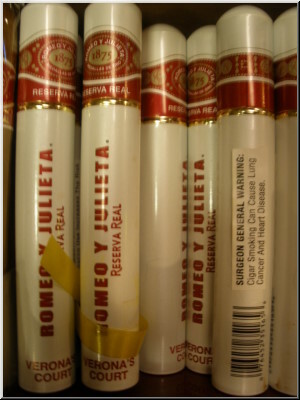 This Romeo y Julieta Reserva Real Cigar rated 90 points. This fireplug is strong in body. It draws perfectly and features a pleasing woody aroma. A variety of flavors were noted, including wood, nuts, leather and earth. It gains strength as it smokes. Rated 88. 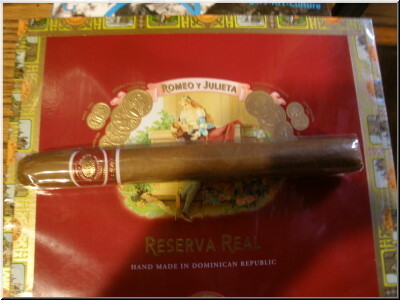 Light brown and silky, this R&J Real Toro performs well. 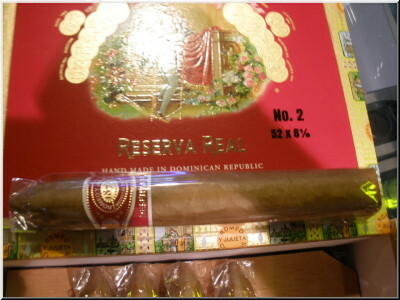 The cigar is not complex, but it features notes of bread and wood. The finish is woody and smoky.